Mayhem Paintball is very close to Southend you just need to head down the A127 to Gallows corner, take the Noak Hill Exit which takes you up straight road at the end of straight road there is a set of staggered traffic lights, If you got right then left it will take you down a windy little road which joins the A113 (the ongar road) which will take you to Passingford bridge round about. If you go left at Passingford Bridge Mayhem paintball is 2 miles on the left just after Stappleford Airfield. 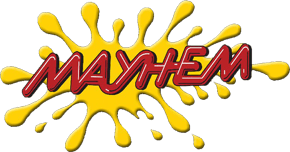 We are a great choice to play Paintball in Essex Mayhem paintball has been one of the best Venues in the UK since 1987 and for the last 5 years been voted best UK Paintablling venue. With so many great playing fields at Mayhem to choose from with Sea King and Wessex Helicopters, a real to scale replica call of Duty map. It is worth travelling 35 minutes by road to get to Mayhem Paintball near Southend. If you need more information on Southend Paintball, please feel free to get in contact with us we are more, than happy to help.